C. C. Canan was born at Pleasantville, Pennsylvania on July 31, 1873. For more than fifteen years he suffered from an attack of appendicitis, which at that time was little understood and ineffectually treated. Surgical operations were performed to no avail, and he passed away in his 31st year on September 29, 1904. Despite his frail health, as a penman he ranked with the famed A. D. Taylor. 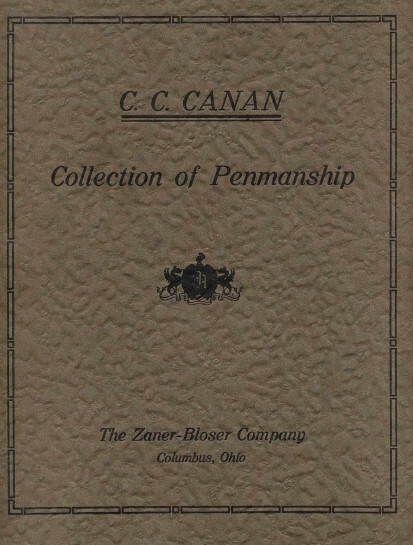 An artist of superb skill, after the death of Taylor in 1898, Canan was equaled by no living penman in delicate, accurate, freehand ornamental penmanship. He enjoyed painting in oil and watercolors, and produced much of his best work but two years before his death. 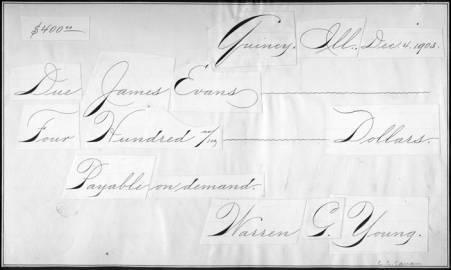 He attended the Zanerian College in 1893 at the age of twenty, and displayed an uncommon talent for penmanship. 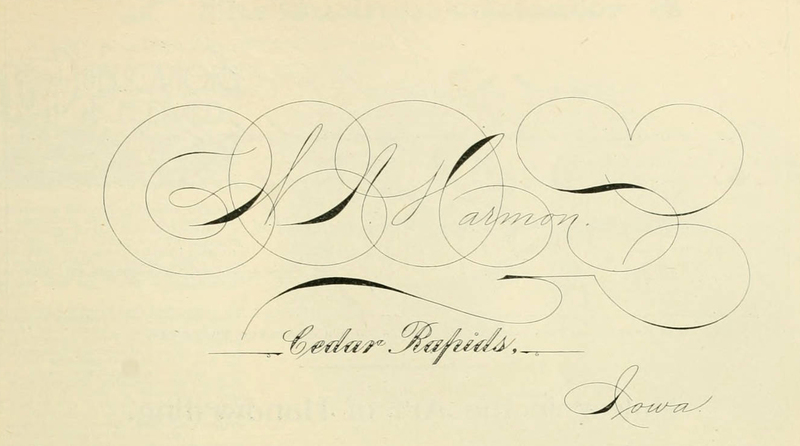 After graduating from the Zanerian, he taught penmanship in the Cleary College at Ypsilanti, Michigan, for two years, and following this he was employed to teach penmanship and pen art in the Penmanship Department of the Cedar Rapids Business School in Iowa. Later, he taught penmanship in the Shissler College at Norristown, Pennsylvania. In his instructions, he credited Platt Rogers Spencer as a man of vision and intellect that originated the letterforms and popularized shaded writing. C. C. Canan was an invalid during the last years of his life, and it was at this time that he acquired an interest and talent for poetry. He developed such ability in this vein prior to his death, that, considering his weakened health, he surprised many friends when he published a collection of his poetry, entitled "Thorns and Flowers." He was always pleasant and his brief but noteworthy life was an inspiration to all.